As IT savvy photographers and image makers, we just know you're going to love QuickBooks Online. We do, which is why we've partnered with them and include the world's #1 cloud accounting solution software with all of our monthly services. See how your business is doing at a glance, in real time. Create and send customisable invoices and receive payments online. Take pictures of receipts and upload them to the server in a couple of clicks. Connect your bank accounts so your transactions are downloaded automatically. Feel secure knowing your data is constantly backed up. Access free UK based phone support if you have a technical issue that we can't help with. 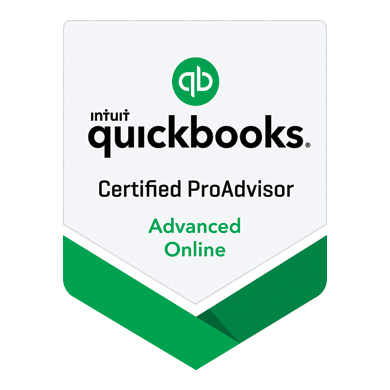 You'll have access to everything we do in QuickBooks Online without the need to learn the software yourself. All you'll need to do is connect your bank accounts and each month, run a shared report, click on any transactions we don't recognise, and edit a description. It's really simple and completely transparent. At the end of your financial year, we'll make any final year adjustments before preparing your accounts and filing your tax return. No mad rush to get all your paperwork together to beat the January deadline, and you'll know how much tax you'll need to pay in plenty of time.